HAPPY NEW YEARS! 2014 is finally here time to start over and forget about the past. 2013 wasn't one of my best years for me but it taught me how to be a stronger person and I'm thankful for that. There's this one quote I kept seeing on instagram and it was "Tomorrow is the first blank page of a 365 page book. Write a good one." That quote speaks so much truth and I will be writing a book through my blog, I hope you guys read my book and continue on with your love and support. Okay, now about the look. I never really realized how much I love black until I wore this outfit. My love for black is so serious and its just the beginning! 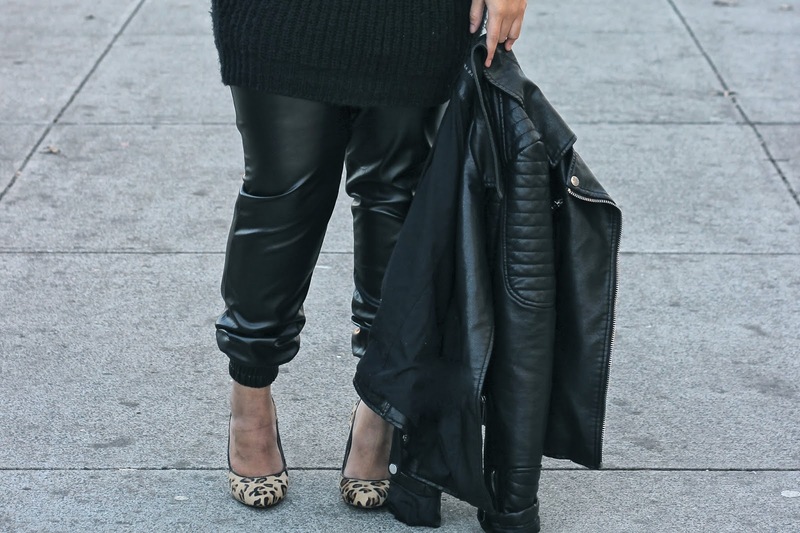 Nothing better than pairing a pair of leopard shoes and red lips for an all black outfit, don't you think? I hope you enjoyed your New Years and hope that you have one successful year! P.S. My bloglovin account is back on track, so make sure to follow to keep up on my outfit post.